I like being efficient with my time and cooking. When I have my smoker or grill fired up I aim to cook multiple dishes in one session to make use of the coals while they are still burning. 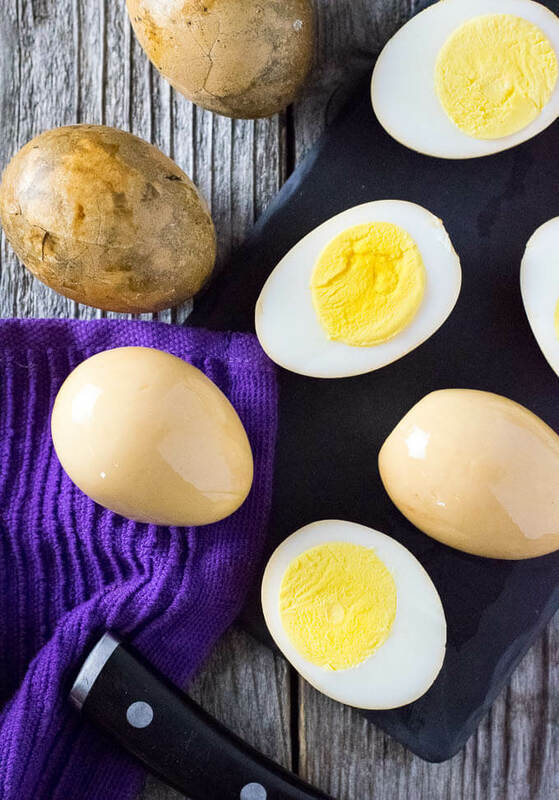 Often this is as simple as throwing eggs into the smoker to saturate them with flavor, then storing them in the fridge for meals throughout the week. 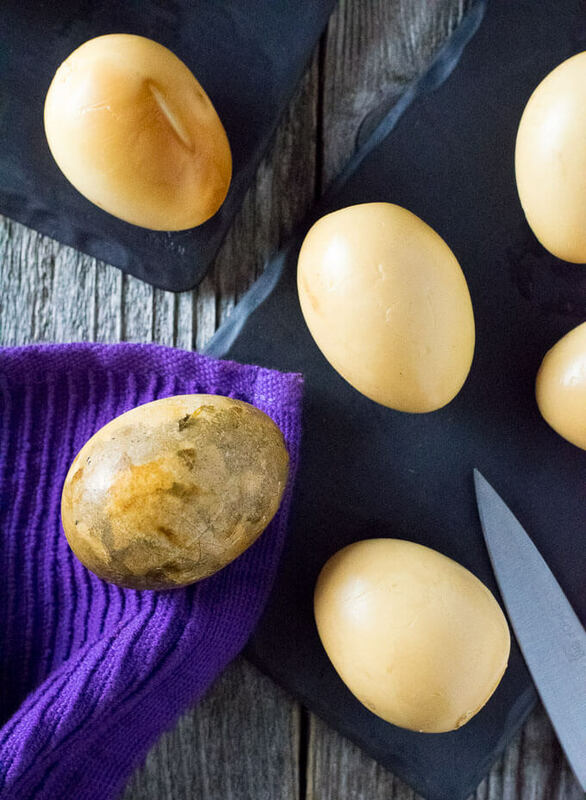 It is effortless, and you likely always have eggs on hand anyhow, give it a try! 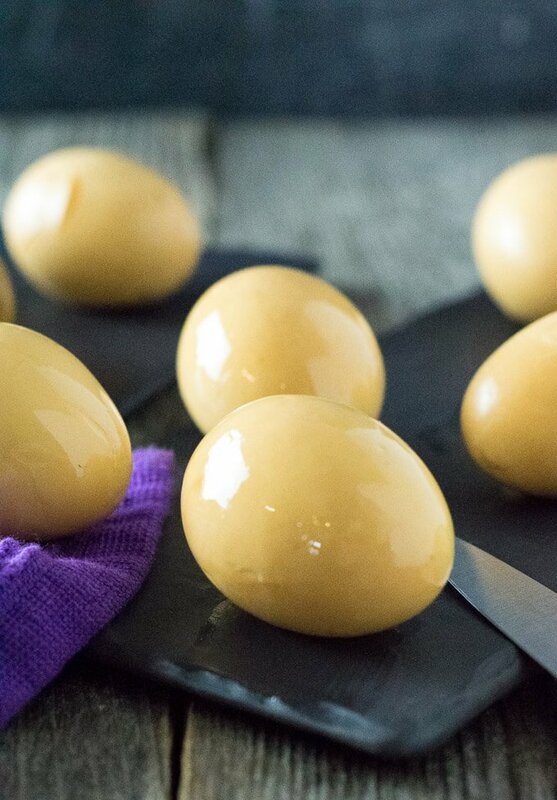 Smoked eggs are hard boiled eggs that get infused with smoke from your smoker or grill. These are easiest to make on the smoker, but there is no reason they cannot be prepared on the grill instead. You just need low heat and your favorite wood chips for smoking. 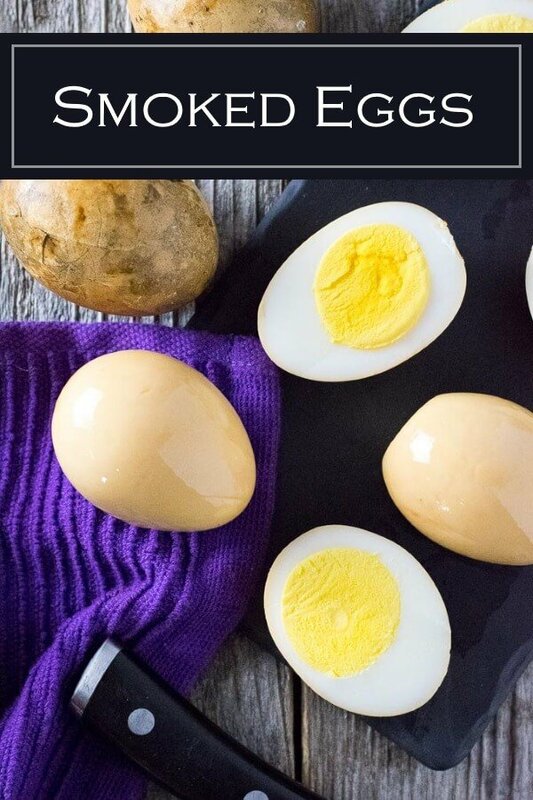 I tested out this smoked eggs recipe using multiple cooking strategies and using peeled & pre-cooked hard boiled eggs had the best flavor by far. I recommend smoking eggs at a low temperature to minimize cooking. You aren’t looking to cook the eggs further, you just want the smoke flavor to sink into the flesh. My recipe calls for smoking these at 225 degrees because that is easy to obtain on most smokers and grills, but you could cold smoke these as well. One of the methods I tested when preparing this recipe was smoking the raw eggs in their shell. This worked well enough for cooking the eggs, but the shell blocked most of the smoked flavor from penetrating. Admittedly smoking eggs in their shell is the easiest way to prepare this recipe, since you can literally grab them out of the fridge and toss them in the smoker. If you wish to do this, smoking them for 2 hours is sufficient to hard-cook the egg. I would also pierce the shell in multiple places halfway through cooking, to allow more smoke flavor to penetrate. If you wish to make these smoked eggs on the grill, you can easily do this as well. Simply pile the charcoal on one side of the grill and add a couple of wood chunks on top of the charcoal and wait until the wood begins smoking. Then add the eggs to the far side of the grill grates away from the coals, cover the grill, and allow the eggs to soak in the flavor for 30 minutes. 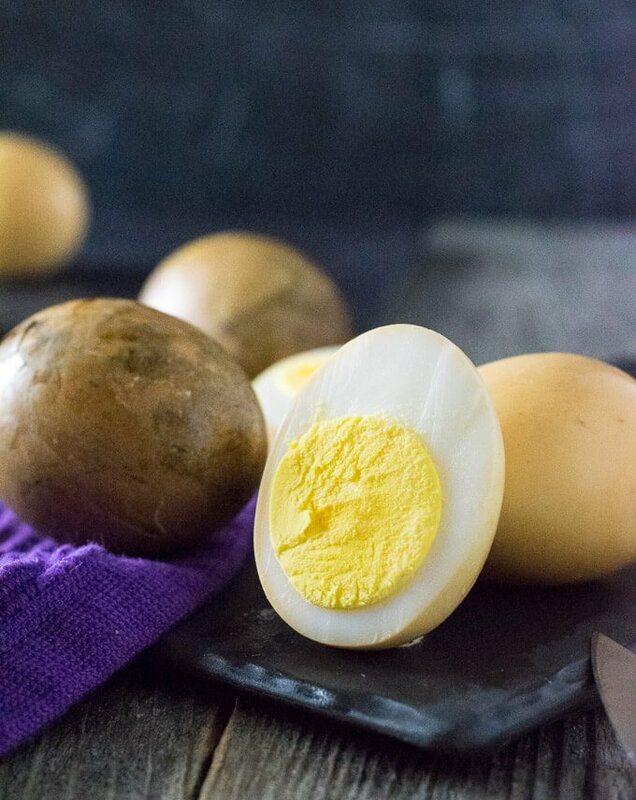 Smoked hard boiled eggs are great to enjoy simply with salt and pepper, or even a sprinkling of BBQ Dry Rub. 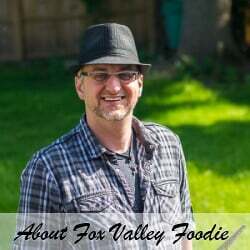 However, these flavor infused eggs really shine when you use them as an ingredient in dishes like a classic egg salad, ham salad, or even smoked deviled eggs. Get creative and let me know what other ideas you come up with! Preheat smoker to 225 degrees and add wood chips. Peel the hard boiled eggs to remove the shell and place in the smoker when wood chips are smoking. Let eggs smoke for 30 minutes, then remove from smoker and let cool in the refrigerator until ready to enjoy. If your grill grates are dirty, I recommend wiping off the exterior of the eggs after smoking to ensure they are clean. 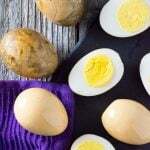 For tips on how to perfectly prepare hard boiled eggs, check out my write-up on How to Boil Eggs. I smoke eggs all the time filling a pan 1/3 full of water,and rotating when I check wood for briskets or ribs. I get a lot of smoke flavor this way. Add Worcestershire and spices as well eggs soak it up tarragon iscool,or basil adds a lil sweet. A lil cayenne pepper for some heat(or jalepenos, serranos) and real butter.